I first became aware of Reading Australia working as a consultant in schools. I was excited about the goal of celebrating our Australian authors and illustrators. As the titles have been added I know the teachers I work with have been thrilled to explore this resource. Later I was fortunate to become involved in the development of resources through ALEA. The task of reading the books, finding unit writers and supporting them to complete the teaching notes was a pleasure. The ALEA members who wrote the notes were so talented, resulting in high quality resources to be used in full or ‘dipped in and out of’ depending on the class program. Teachers like the breadth and flexibility of the teaching notes. Even before the emphasis on local literature in the Australian Curriculum it was important to promote the wonderful books we have in Australia. Teachers are busy and it can be hard to keep up with new titles, revisit the classics and source titles by our Indigenous authors. This resource makes it much easier for teachers to discover an increasing range of books and authors. I love the themed pages Reading Australia provides for special events such as International Friendship Day. 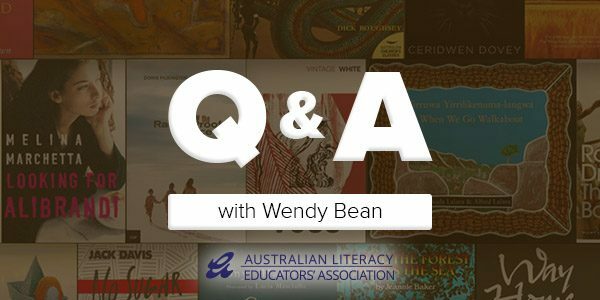 I am very positive about what is happening related to literacy in our schools and the enthusiasm for Australian literature. However, times are challenging for authors and publishers in Australia so let’s hope that resources like this continue to champion Australian books, authors and illustrators. It can be argued a favourite book or author is not on the website but hopefully the list will continue to expand over time. Having read every book on the list many times, this is an impossible question! I have so many favourites for different reasons. I adore some of the older titles like Mulga Bill’s Bicycle and Way Home as they bring back memories of reading them in my early years of teaching. It is hard to select any but I do love My Two Blankets by Irena Kobald and illustrated so beautifully by Freya Blackwood and I have to mention the wonderful Yirruwa Yirrilikenuma/When We Go Walkabout by Rhoda and Alfred Lalara because it is unique and I believe a treasure. All the titles are terrific and must reads! You can see more of Wendy in the Reading Australia for Primary Teachers video.